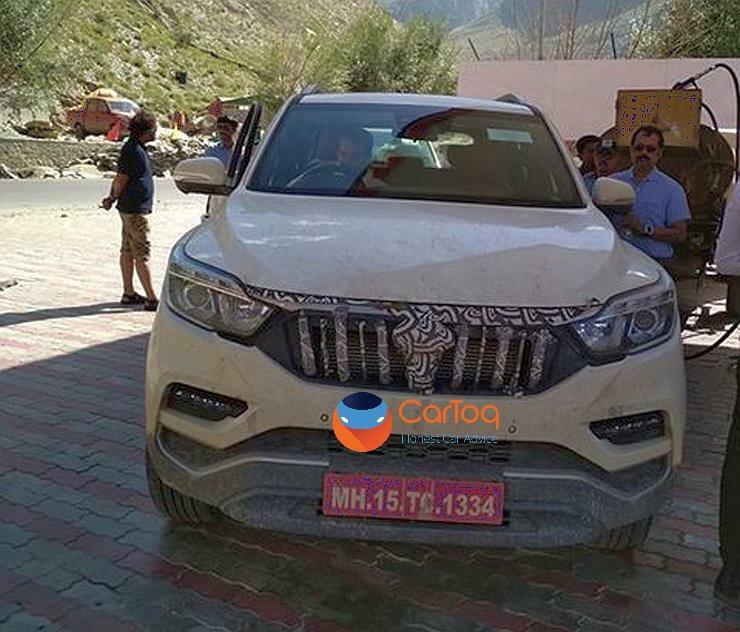 By the end of this year, Mahindra will launch a brand new luxury SUV, which is essentially the rebadged and rebranded version of the Ssangyong Rexton G4. The 7-seat luxury SUV could be called the XUV700, and will be the Indian automaker’s flagship offering. 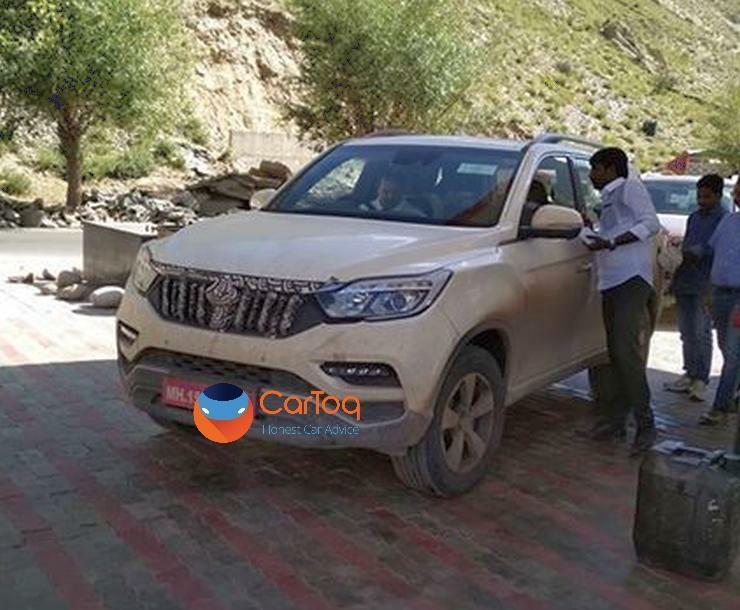 The XUV700 was recently spotted testing in the Himalayan region by CarToq reader Parveen Sihag. 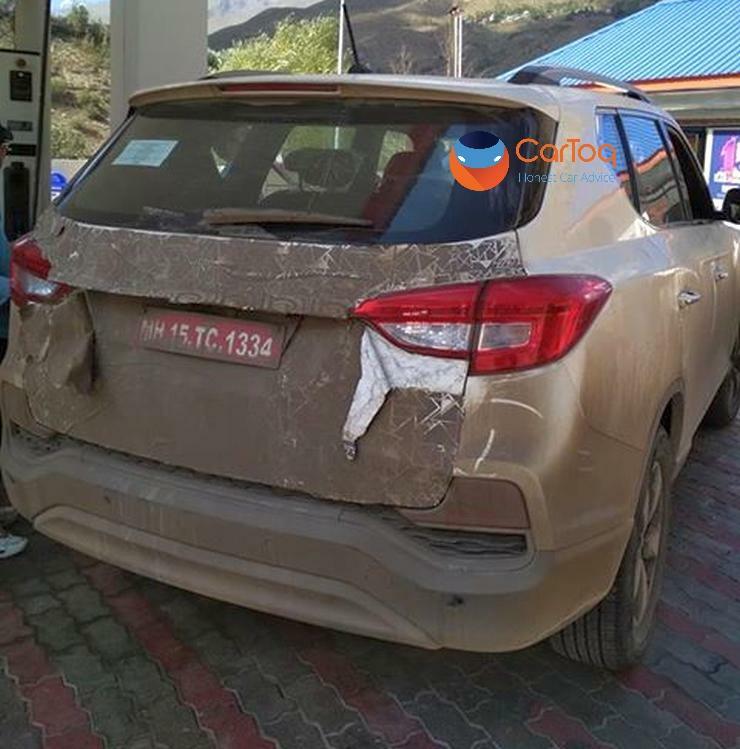 Here are a few spyshots of the SUV, which will compete with the Toyota Fortuner. The Mahindra XUV700 will be similar to the Ssangyong Rexton G4 in terms of styling, features and interiors, save for a few badge changes. The luxury SUV that seems large and imposing will seat 7 people. It will come with a solitary turbocharged diesel engine that displaces 2.2 litres. This engine will produce about 180 Bhp – 420 Nm, which while not being class-leading, is par for the course as the best-selling Toyota Fortuner has similar outputs. The SUV is likely to be sold with an automatic gearbox as standard. The gearbox will be a Mercedes Benz-sourced 7-speed torque converter unit. Both rear-wheel drive and four-wheel drive options are likely to be offered. The XUV700 will be assembled at Mahindra’s Chakan factory through the completely knocked down (CKD) kit route. In fact, CKD kits have already been shipped by Ssangyong from South Korea, and assembly is expected to commence very soon. As for features, the Mahindra XUV700 will be quite loaded. The flagship status of this SUV means that it’ll have to offer not only a wide array of features, but will also need to have high levels of fit and finish. The interiors of the XUV700 will be a mix of leather and high quality plastics. Prices are expected to start from around Rs. 24 lakhs, making this SUV cheaper than both the Toyota Fortuner and the Ford Endeavour. The XUV700 will come with ventilated and heated seats, an 8-way electrically adjustable driver seat, a 6-way adjustable passenger seat, an electric tailgate, projector HID headlamps, a touchscreen infotainment system, LED cornering lamps, supervision cluster with customisable MID, flat folding rear seats, 20-inch wheels and ambient lighting. The SUV will also get 9 airbags, ABS, EBD, hill-start, hill descent and ESP. So, are you excited to see Mahindra’s new flagship in India! ?